Sensational singer T-Boy and his counterpart Ruff Khaida of the Kachabe Chabe fame last Friday night at Longacres ZAF Mess graced a special marriage ceremony between Lusaka businesswoman Jane Ndhlovu and Liberian businessman Moses Tamba. The two singers gave a real treat of love songs to cement the union of the Tamba’s at a colorful event that was ably officiated by Zambia Association of Musicians President Njoya Tembo as guest of honor. Mr. Tembo who was in the company of his of his wife Brenda assured the guests that today’s generation would do its best to protect the God laid down principle of keeping marriage between male and female as it is a sacred institution. “It’s important that man’s responsibilities of cherishing, protecting and loving his woman is not traded or replaced for anything as it’s the only way of making the world into a populated world,” he said to a cheering audience. He later cited the Biblical saying, ‘What God has put together, let no man put asunder,’ as a reminder to friends and relatives to the couple to help sustain the marriage. His message was amplified by the musician’s presence that saw them perform their very popular hits to the amazement of the guests. 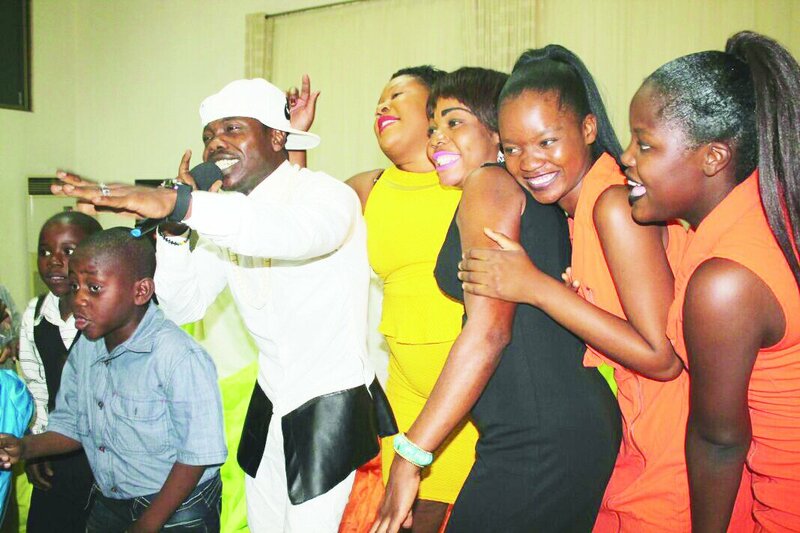 Khaida’s moment was equally wowing and energetic as he displayed his act which was not short of songs like, ‘Bwete,’ ‘Nalikutemwa,’ and ‘Liato’ among others.